Taking care of my clients is my top priority. I go the extra mile to find the best protection & coverage at the right price along with excellent service. I have over 15 years experience in the Financial Services Industry, including being a Loan Officer, Bank Branch Manager & Financial Specialist, and Independent Insurance Agent. My specialty is working with small to medium sized businesses. As former business owner, I understand they have other things to focus on besides insurance. It’s my responsibility to make sure they are properly protected. Originally a Nebraska farm-boy; 10 years ago I moved from Denver, CO to Phoenix, where I now live with my wife, 2 boys, and 2 dogs. I enjoy Husker football, exploring the AZ outdoors, and fixing things around the house. 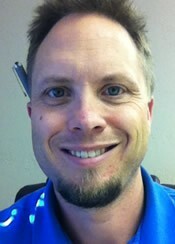 Chad can be reached at chad@insuranceproaz.com or on his cell phone 602-402-7317.